At Joe's Garage we value the safety of our customers above all else. 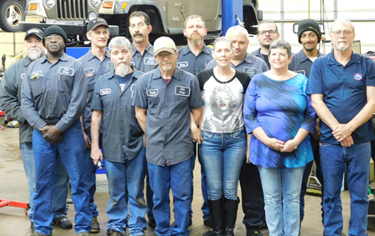 We want to ensure that you get to where you're going every time with a reliable and safe vehicle. A major problem area for the cars and trucks that come into Joe's Garage, are tires. Your tires are your connection to the road, and without them doing their job properly, all the handling development and safety testing that went into your car may not keep you safe. Here is some basic information on your tires and how to know when the time has come for replacements. As with having over-inflated tires, a lack of tread can lead to less control and worse handling for your car or truck. Your tires' tread patterns help them to hold the road as well as channeling mud and water away from the areas that need to do the gripping. Without enough tread depth, your car can ride up on top of water on the road and cause you a complete loss of control. There are a few common methods of measuring tread depth, such as using a penny to gauge whether or not it's time to replace your tires, but we recommend coming into Joe's Garage in North Little Rock, AR for a professional opinion on the matter. Not all tires are created equal and must be replaced at different times. At Joe's Garage, customer safety is our number one priority. We hope you'll be a little safer with this information. 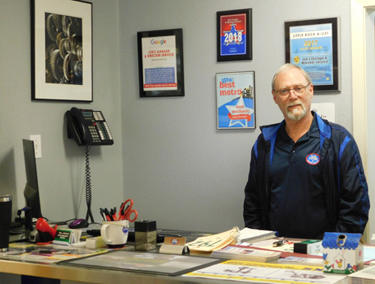 If you'd like to talk about whether your tires may need inspection or replacement, call us at 501-753-4685 or visit us at 5601 Crystal Hill Rd in North Little Rock, AR. Happy travels!